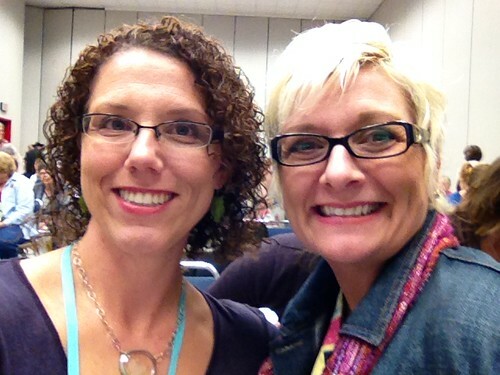 We interrupt the belated Quilt Market blog posts to share something else entirely. This is only the second year our high school has had a lacrosse team and much of the credit for getting it off the ground goes to one family. A family whose son just graduated and will be moving back to SLC this month. 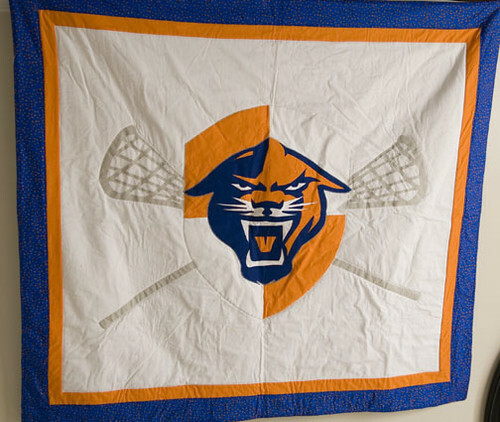 Lacrosse has been such a great thing for my son and I wanted to show this family how much I appreciated it, so I decided to turn the logo they designed into a quilted wall hanging for them. About three-fourths of the way through making this, I realized it was so big that it was better as a team/booster club gift to the family. Folks, it’s big. The white is one full yard of fabric. I think the center shield and panther are about 24 inches. 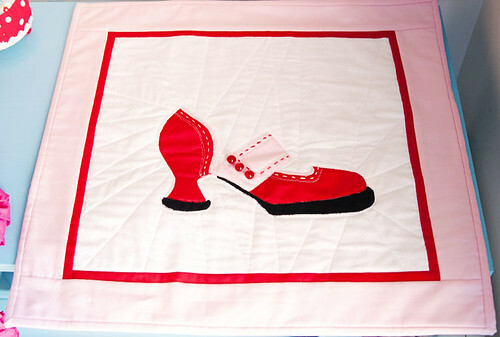 This is a level of applique I’ve never tried before and I’m not sure it’ll be repeated any time soon. 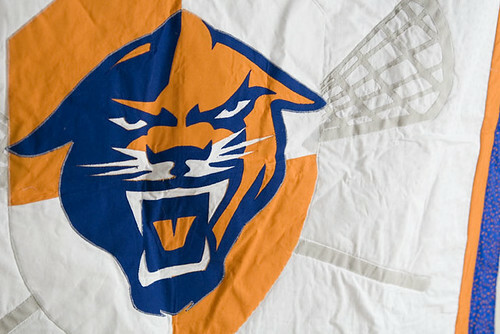 I did a tighter zig-zag stitch in gray around the shield and panther head to somewhat mimic the shadow effect of the logo. 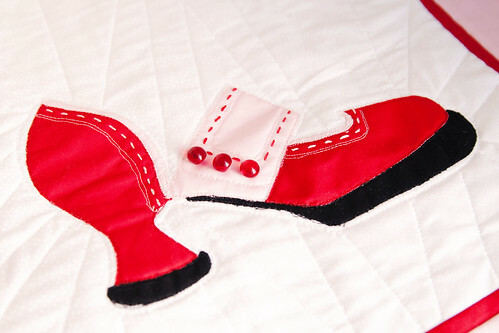 The remainder of the stitching is done with a straight stitch in thread to match each area. 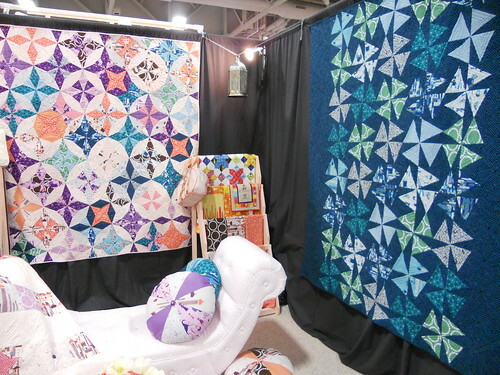 Finally, I quilted around the shapes in a subtle echo effect. I was so blown away with the finished product in sort of an “I made this? *I* made THIS!” kind of way. 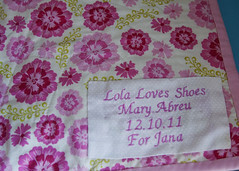 (It looked much better when it was ironed but I pulled it out of the gift bag to photograph on our way to the banquet.) The folks at the banquet thought it rocked and the recipients were just blown away, which definitely made the work worth it. 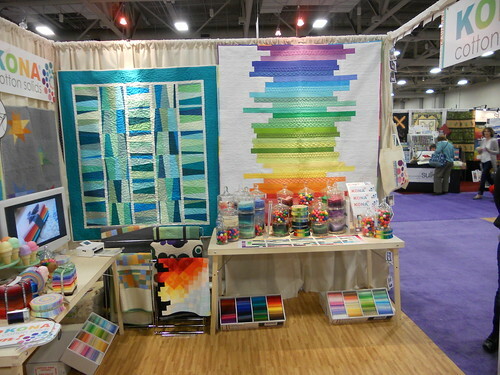 I may officially be the last person to blog about Quilt Market. Seriously, I’ve been home more than two weeks and still haven’t finished scanning in my pics. Instead of waiting for the planets to align and that to happen, I’m going to just dive in with a few pics and my thoughts on some things I saw there. 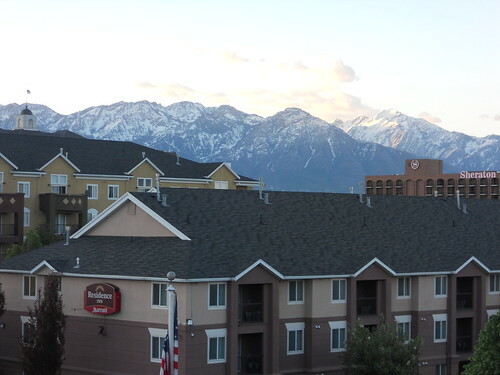 Above is the view from our hotel room in SLC as the sun rose our last morning there. The weather was all kinds of perfect and Salt Lake City has to be one of the nicest cities I’ve ever visited. 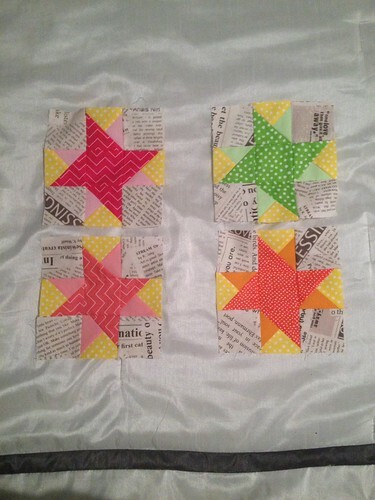 Solids are big and definitely getting attention from a lot of quadrants. 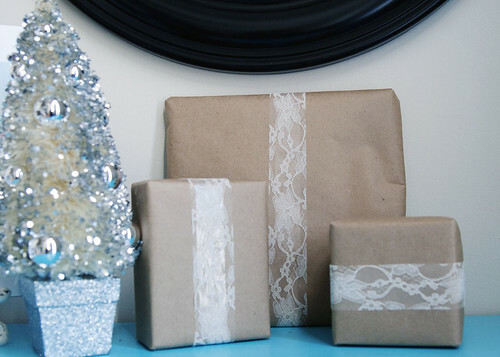 Manufacturers, pattern designers and authors are all tapping into this one. I love me some Kona but I’m also grooving on the FreeSpirit Designer Solids (touch them and see if you don’t agree that the hand is just amazing). 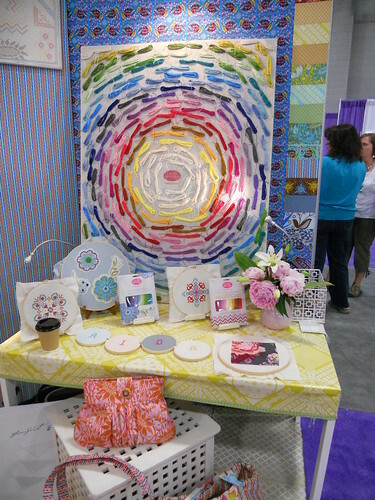 Stitchery — embroidery and cross stitch — is being shown lots of love, too. 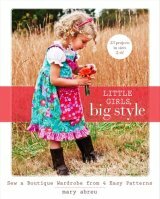 Sarah Jane and Anna Maria Horner both come to mind but they’re far from the only ones (the awesome Rashida Coleman-Hale even gave out a free cross stitch pattern that goes with her new fabric line). The new aida cloth from Westminster is some of the nicest I’ve touched and may even seduce me into trying some more cross stitching. 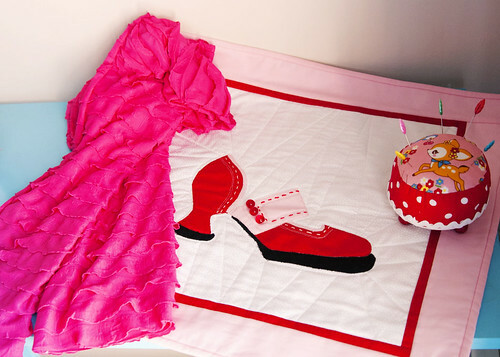 Modern quilting styles meet more challenging techniques. Personally, I’m loving this! I am so enamored of the “modern” aesthetic but I’m ready to challenge myself every now and then with some more complex piecing — but nothing so overwhelming that I can’t finish it in a weekend (Mariner’s Compass, you’re just going to have to wait your turn).